Once Upon a Cakery: Science Fiction? Play with my food? Why, yes please! As a new blogger, I follow a tonne of (mostly food) blogs out there in the big world and am constantly learning new things. One such thing is "Spherification." Yes, when I typed it out, Blogger gave me the red squiggly line because even IT didn't recognize the word. 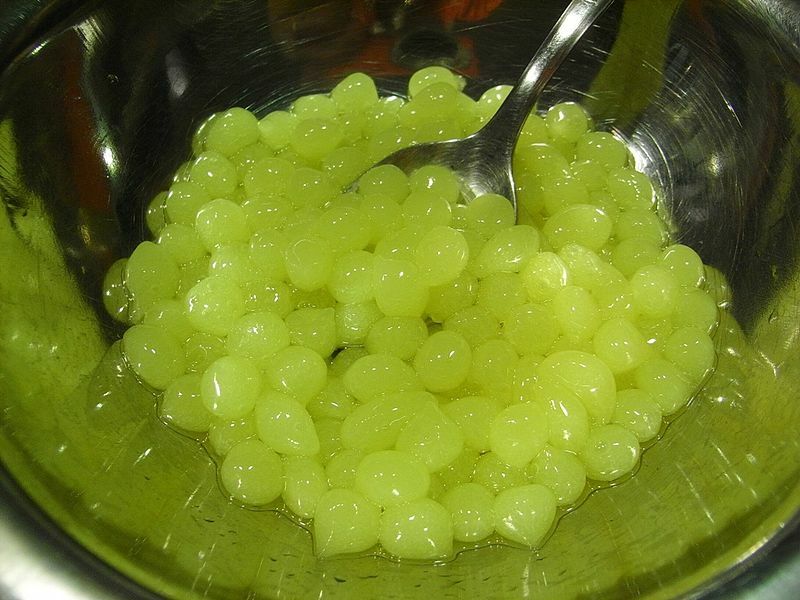 What is Spherification, you ask? (Or not, maybe you already know.) Well, according to Wikipedia, it is the culinary process of shaping a liquid into spheres, which visually and textually resembles caviar!!! (Ok, Wiki didn't use exclamation marks, I added those in.) When I first looked it up, I had to read that line a couple of times, because I did not trust my eyes. I had not ever heard of this before, although thinking back now, I actually had some of these "spheres" in an ice cream dessert once a few months back. Absolutely enjoyed my dessert and had no idea that I was consuming tiny, round works of molecular gastronomy. Take a look at this video of the actual process! bursting in your mouth with different fruit flavours. Now, I don't know where you come from, but where I live, it isn't so easy to get your hands on the required materials to perform this magic trick. Oh yes, It's a Kind of Magic. Please allow me to take you behind the curtains and show you that there is actually an easier, chemical-free method to achieve the same illusion. Behold the wizard - Heather Baird, who is behind the blog "Sprinkle Bakes." Heather taught her readers how to get around the challenge with molecular gastronomy in this posting by using simple ingredients you find in almost any pantry. She also included a video on the process and it's been set to music. Trust me, you are going to feel like you are watching a Broadway production with the timing of the music. Check it out here and see for yourself!